The Anunnaki, Goldminers from the Planet Nibiru who created our species from their genome (plus genes from Bigfoot’s ancestor) gave us–their slave race–many benefits. They gave us life, genes, science, technology, architecture, city planning, courts, schools, crops, entheogens, cosmology, genetics, animal husbandry, and trade. They gave us examples of space, under-seas and time travel. They also, however, gave us and modeled problems that trouble us to this day. Examine some of the problems the Anunnaki bestowed upon us. The pernicious program implants the Anunnaki imparted about the overweening importance of HIERARCHIES of authority and status they stamped into our psyches impair our empathy. 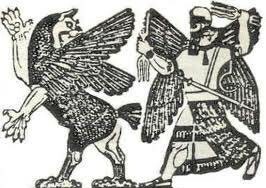 Anunnaki Commander Enlil (Yahweh) his emissaries (Angels),” the mutinous Igigi Astronauts (Nephilim) and Prince (Marduk-Satan) taught, modeled and enforced the hierarchical and DUALISTIC consciousness that, as they planned, impair our natural empathy for one another. Though they gave us perks too, they also gave us problems (challenges) in our collective and individual consciousness. Problems they gave us include short lifespans, status obsession, classes, greed, rulers, religions, racism, sexism, slavery, taxes, gold lust, debt, murder, war, propaganda & ignorance. Anunnaki demonstrated and fomented obsession with personal, group and racial, religious, national and commercial status. They showed and taught us compulsive competition, murder-to-rule and misogenation. 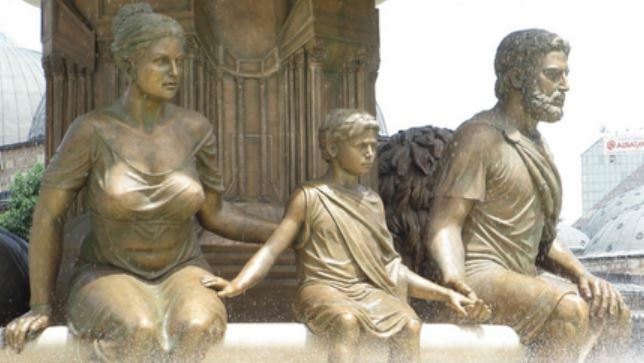 We examine below a few of their many managed murders–those of Lahma, Alalu, Anzu, Philip of Macedonia, Sennicherib of Syria, and JFK. Prince Alalu, descended from Nibiru’s forth king, Anshurgal (and a concubine) led his fellow princes [ca . When Anu and his sons divided rule of Nibiru and Earth, “Forward toward Anu Alalu stepped, shouted, “Mastery of Earth to me was allotted; that was the promise when the gold finds to Nibiru I announced! Nor have I the claim to Nibiru’s throne forsaken” [Enki: 93]. 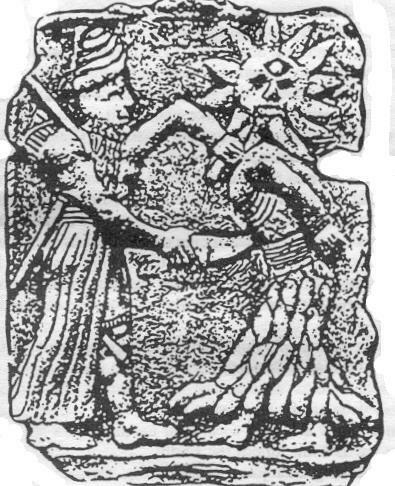 Enlil subdued and tied Alalu while Enki gave Anu first aid. Anu groaned, “Maroon Alalu on Mars, I shall. Slowly will he die from my flesh ingested.” Anu’s flesh killed anyone who ate it. So Anu, en-route to Nibiru, left Alalu with food and tools on Mars. On Mars also, Anu left Anzu to tend the ex-king as he died [Slave Species: 438]. But when Enlil stripped, Anzu stole his keys, slipped into the control room and seized the crystals [computers] that ran Sumer’s spaceport and cities. Anzu forced pilot Abgal, Chief of the Landing Platform at Lebanon, to take him to Shurupak the spaceport. There, Anzu’s men—the “Martians” who invaded–declared Anzu King of Earth and Mars. Anzu turned off vital services at headquarters (Nibru-ki), cut Earth-Nibiru communications, and, from his aircraft, buzzed Enlilite positions. 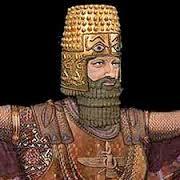 Sennacherib shelled then sacked Babylon on the pretext that Babylonians disappointed Marduk. Sennacherib sentenced the Babylonians toAssyrian occupation for seventy years. He won Phoenicia, Gaza, and Judea. Then–without Adad’s okay–attacked Jerusalem. Enlil (or Adad in Enlil’s Yahweh’s name) who controlled Mission Control Jerusalem stopped the Assyrians. He killed 185,000 Assyrians with a techno-weapon. Sennacherib fled to Ninevah in Sumer and named his younger son Esarhaddon, his successor. Sennacherib’s older sons Adrammelek and Sharezer assassinated killed Sennacherib, but the Anunnaki hid Esarhaddon. Babylon’s King NABOPOLASSAR took Ninevah, the Assyrian capital; the Assyrians retreated to Harran. Enlil sent INANNA, his son’s daughter, to Assyria where she disarmed the Ninevan army, burned their weapons and made Esarhaddon king. Inanna and her king attacked MARDUK’S EGYPTIAN FORCES and she blinded them with a techno-weapon. In 522 BCE Darius murdered Cambyses and ruled the extended Persian Empire. Philip II with wealth from goldmines in Macedon outfitted infantry and cavalry that united Greece. Alexander sparked the Macedonian win over the other Greek city-states at Chaeronea, where his cavalry encircled and massacred Thebans who refused surrender. 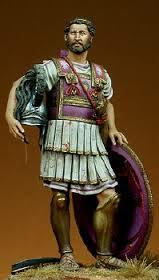 One of Philip’s bodyguards whom Olympius and Alexander had suborned killed Philip efore Philip’s new son with a pure Macedonian (Cleopatra) could displace Alexander. Alexander’s man killed Philip’s top general as he pursued the bodyguard. Olympius killed Cleopatra’s son and Cleopatra killed herself. Alexander himself died in 323 BC from poisoning, perhaps by his possibly illegitimate half-brother Ptolemy I Soter. The book LBJ by Phillip Nelson “aims to prove that Vice President Johnson played an active role in the assassination of President Kennedy. LBJ began planning his takeover of the U.S. presidency even before being named the vice presidential nominee in 1960. Lyndon B. Johnson’s flawed personality and character traits, formed as a child, grew unchecked for the rest of his life as he suffered severe bouts of manic-depressive illness. He hid this disorder from the public as he bartered, stole, and finessed his way on Capitol Hill. Nelson includes photographic evidence proving Johnson knew when and where Kennedy’s assassination would take place. Giant Anunnaki geneticists from the planet Nibiru blessed, cursed and challenged us when, 300,000 years ago, they parented us with their DNA and that of Homo erectus. Then they trained us and modeled the paradigm that dominates our the minds of the masses. Recently, the Anunnaki proclaim their new deal: “harmony and understanding, sympathy abounding, no more falsehoods or derisions…” , the dawning of the Age of Aquarius. The Nibiran genome and that of Homo erectus comprise the first blessing or perk the Anunnaki gave us. They adapted their genome to Earth with a blend of genes from Homo erectus, copper, and minerals from the clay of Zimbbwe to create us, to give us our very existence. Lyrans, Dracos, Pleiadians, Martians, Venusians, Agarthans Greys & other extraterrestrials and interdimensionals had already altered Homo erectus before the Anunnaki added their genome to Erectus’. We benefitted from technology-perks they taught us directly. The perks they gave us included computers, rockets, submarines, free electricity, longevity treatment, gene spicing, revival of the dead, bases on Luna and Mars and much more that we saw them use and eventually imitated. Our creators gave us short lifespans, imprinted status obsession, and greed as our guiding principles. They inflicted royals, religions, racism, sexism, slavery, taxes, gold lust, debt, murder, war, propaganda and forced ignorance upon us. Now, they give us promises and pledges.